« What is The Good Behavior Game? Today’s story is about a young man named Brody. Brody’s mom contacted us because Brody needed to take a medication that needed to be swallowed. (Some medications can be crushed or sprinkled but when medication has an extended release, it must be swallowed to allow time for it to progress through the digestive system before dissolving.) 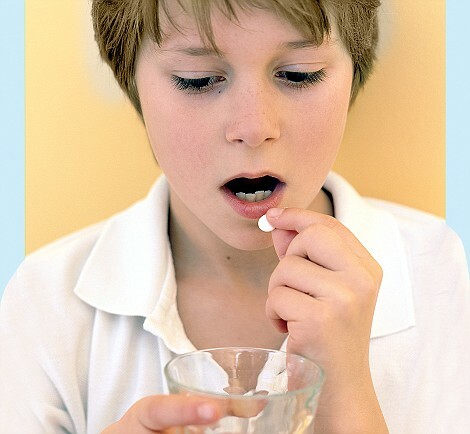 The problem was that Brody did not know how to swallow pills. On top of that, Brody engaged in serious challenging behavior when his mother asked him to do something he did not want to do. Brody also had autism which complicated the entire process. My colleagues over at CARD developed a wonderful pill swallowing technique based on research. The technique utilized some of the basic procedures in ABA. So we used those techniques with Brody and his mom. Well, there was one more complication. Brody lived in a different state. Travel to us was not financially feasible nor was it practical for something that can be accomplished so easily. So, we utilized technology to make it happen. Voice Over Internet Protocol (VOIP) works great in situations like this. Skype and Facetime are perfect examples of this. However, due to HIPAA and privacy issues, a more secure connection is needed. Thus, we utilize WebEx for our work. All Brody’s mom needed was a camera, speaker, microphone, and internet connection. First, we purchased a variety of stimuli that we could use to teach swallowing. You can start with something as small as a mustard seed. We use items like tapioca pearls, quinoa pellets, and similar. We purchased items in varying size take care to include items up to the size of a navy bean or flageolet. We also purchased blank pills in various sizes starting at size 4 going up to a size 0. Note: some folks might suggest that you use small candies or cake decorating items. We advise against this because those items taste good and could possibly encourage chewing. Remember, we want children to swallow the stimuli WITHOUT chewing. Then we arranged the stimuli in order from smallest to largest. FYI, a flageolet is about the same size as a size 5 capsule. A size 0 capsule is quite large (but they do come larger! 00 and 000). When Brody demonstrated that he could swallow a tiny object, we gradually increased the size of the stimuli. After only a few sessions, Brody was able to swallow a size 1 capsule which happened to be the size of the medication he needed. The final step is to reinforce the child for attempting and for successfully swallowing. Reinforcement can be as simple as verbal praise but it can also include brief access to a favorite movie, song, or iPad game. Ok, it’s obvious that you don’t believe us. Check out this link for additional information including videos. This professor utilizes a head turn that you can teach if you want. We have not had to use this technique in our practice thus far. Readers, it would help our case if you would share your success with this too! Seriously, this is one easy skill to teach. ABA Rocks! How do you deal with protesting and anxiety? Hi Pia, are you asking about protesting and anxiety as they relate to swallowing pills? Hi Pia and thanks for your interest in the blog. When we teach pill swallowing we do so using very small steps. We teach them to swallow something tiny so that they learn that swallowing is not scary. To assist with the anxiety, we use a social story explaining to them that they won’t choke and that many people swallow medicine every day. Once they learn to swallow small things, then we move on to making the objects bigger and bigger until they can swallow pills. As with any procedure, make sure there are no underlying medical problems. You can buy them online. You can also get them at a pharmacy. However, they may want a physician prescription. Did you take data on this? Did you measure the target behavior by frequency? Hi Carmen, these are great questions. We take several types of data in our clinical work. In pill swallowing specifically, we collect frequency data on accepting the pill, swallowing the pill, expelling the pill, gagging, and other inappropriate behaviors such as verbal refusals and physical refusals. Then we graph the data based on pill size as well percent of opportunities.